Companies can be liable for a negligent tort if they falsely represent a product, the product brings harm, or it causes injury to consumers. These offenses are considered unintentional torts of negligence. Bevans (2011) suggests that negligence can be difficult to prove and not all acts of neglect are actionable under the law. Nevertheless, under certain conditions, a party that is neither negligent nor guilty of an unintentional tort may still be subject to damages and when injuries are sustained, presents an opportunity for a cause of action (Bevans, 2011). This research is focused on the unintentional actions of negligence that resulted in a product recall. To better comprehend and illustrate the legal process to identify the liable party, the study of this research is focused on Recall Case Number 13-742, dated July 11, 2103, issued by the Staples Corporation of their catalog item known as the Bermond Fabric Manager’s Chair: a product manufactured and imported from China (Government, 2013). The research will also examine consumer protection laws and determine if the cause of action is based on: (a) warranty, (b) negligence, or (c) strict liability. 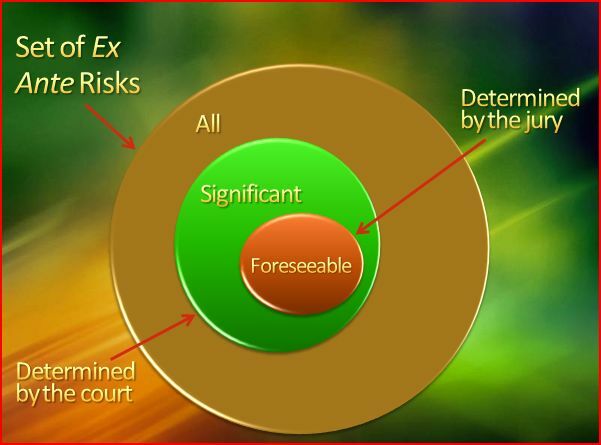 In addition the analysis will explore defenses for negligence as well as some of the typical components that can lead to a product recall case including: (a) elements of negligence, (b) consumer protection, (c) duty of care, and (d) foreseeability and proximate cause. The research will conclude that manufacturers are obligated to abide by duty of care concepts to patrons because consumer protection statutes can lead to litigation that can result in costly damages or, in extreme cases, bankruptcy. When a company receives an abundant amount of complaints about a product, they could be liable for negligence. Marsh (1999) postulates that consumer protection statutes offer consumers a safeguard against a manufacturer or company that sells a defective product. It is the responsibility of the buyer, however, to establish evidence that the consumer: (a) has a justifiable reason for the claim, (b) experienced harm or damage by the product, and (c) used the product correctly (Marsh, 1999). These components are essential to help attorneys determine whether to pursue absolute or strict liability actions and decide if the litigation costs will outweigh the potential damages. The sample case study for this research is focused on a recent recall issued by Staples of a popular office chair. The incident addresses one of the most common offenses a business leader runs into: a potential strict liability case from an unintentional tort. Seaquist (2012) stated that in a strict liability tort, manufacturers, wholesalers, and retailers are the parties held liable for defects in the design or manufacturing of a product. Product liability torts are based on three causes of action: (a) warranty, (b) negligence, and (c) strict liability (Seaquist, 2012). Under these parameters, a plaintiff can make a claim against the Staples Corporation because they were identified as the retailer of the product that caused harm when it malfunctioned. Even though recalls can prevent further harm from a defective product, manufacturers and the companies that sell products that cause injuries to consumers can be liable for negligence. Seaquist (2012) contends that in order to determine a negligence case, four elements are typically addressed: (a) proving the defendant’s duty of care, (b) evidence that supports the defendant breached their expected duty of care, (c) verifying the plaintiff sustained injuries caused by the breach, and (d) establishing evidence that the plaintiff suffered emotional or physical harm (Seaquist, 2012). In addition, to establish product liability litigation, the plaintiff must demonstrate that: (a) the product was properly used, (b) it was received in an unaltered form, and (c) it malfunctioned due to a design defect. For example, the government report stated the reason the office chair was issued a recall, was because the chair posed a falling hazard due to a weakness in the structure of the base. The report indicated the recall was issued after over forty consumers filed reports complaining the bases of the chairs broke. In addition, two reported limb injuries and another suffered a bump on the head and sustained back injuries. Because litigation that involves negligence can be a costly event, companies take every measure to protect their organization from selling products that can cause death or injury to consumers. They also want to avoid negative publicity that can result in a loss of profits, because clients that are fearful and lose trust in an organization are reluctant to engage in commerce. 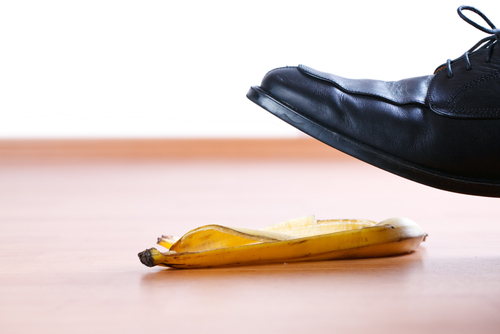 Costly negligence litigation can also lead a company towards bankruptcy. Due to the rising number of manufactured products that result in injuries, the government created the Consumer Product Safety Commission (CPSC) to help manage consumer protection. Seaquist (2012) postulates that the agency monitors a wide variety of injuries, like, for instance, those sustained at public athletic facilities and amusement parks. The CPSC was established to help regulate safety in a variety of industries and hundreds of statutes and regulations were incorporated to support them. For example, organizations are required to follow the guidelines provided by the Virginia Graeme Baker Pool and Spa Safety Act to protect consumer safety in pool and spa environments. Government protection agencies also serve to mitigate the dangers of toxins with poison control implemented by the Poison Prevention Packaging Act and the Flammable Fabrics Act regulates flammable material that can be found in children’s clothing items (Seaquist, 2012). In short, consumer protection agencies and their offshoots help manage many different environments where issues of consumer hazards exist. The Staples office chair recall, for instance, was issued as a result of the complaint and incident reports filed from consumers which included injuries that were sustained. The recall decision, in this case, demonstrated that Staples was acting responsibly by taking swift action. 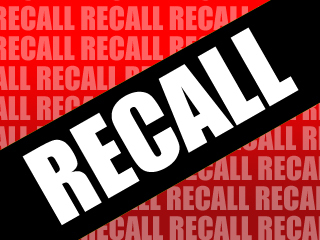 In addition, the recall strategy supports good business practices, demonstrated by their taking steps to address a situation and alleviate further incidents by removing a hazardous product from their catalog. This action supports an ethical culture and is behavior that falls in accordance with Consumer Product Safety Act mandates. Companies are also obligated to follow duty of care concepts. Marsh (1999) points out that consumer trades with merchants also occur through internet commerce as well. Each of these transactions, however, requires that the ordinary rules of contract law apply. In other words, since each is considered a consumer transaction, special consumer protection statutes and rules apply (Marsh, 1999). For this reason, it is a company’s responsibility to engage in duty of care practices. This means that they acknowledge and accept a standard of behavior that is expected of an individual in a certain circumstance. In some instances, however, the duty of care is identified by statutes. This is known as statutory duty of care. One example of this can be seen in a local ordinance that mandates all property owners establish separate recycle bins to divide paper, glass, and plastic products for scheduled collections. 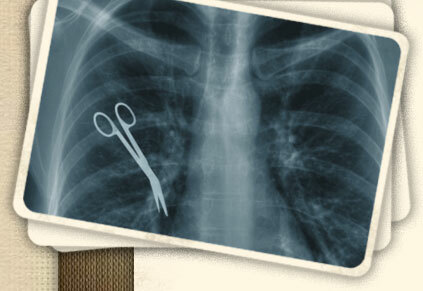 When standards of care are established by law, the defendant is considered liable for violations of that statute. In short, once a duty of care has been established, a plaintiff must prove that the defendant fell short of it. The government report of the Staples recall case stated the office chair was manufactured and imported from China. Once they were made aware of the malfunction issue, the Staples Company, the retailer of the item, took responsibility and implemented swift action by issuing the recall and urged consumers to immediately cease using them. Subsequently, consumers were instructed to contact Staples corporate headquarters for directions on returning the defective product to receive a full refund. The report further substantiates that in addition, Staples directly contacted all known customers in their database to provide them with the recall information. Staples’s rapid action demonstrated an immediate response to what would be considered a strict liability tort case. They displayed ethically responsible corporate behavior to protect shareholders. In the meantime, to collect any damages incurred from the defective product, the Staples Corporate Legal Department can examine their Risk of Loss Rules and Contracts to determine the next course of action with respect to the Chinese manufacturer that produced it. 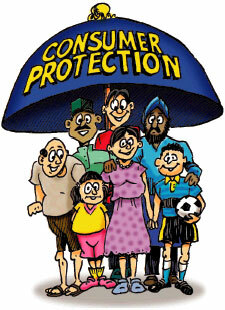 Consumer protection statutes provide safeguards that defend citizens. Bevans (2011) proposes that in addition, a plaintiff may address whether it was foreseeable that their actions would cause harm or injury and whether they suffered as a result (Bevans, 2011). In other words, did the plaintiff use the product in an unsafe manner? This is known as direct causation, in that the injury was sustained from a breach in usage. In order for a plaintiff to become victorious in a negligence lawsuit, it is essential they prove direct causation. If, on the other hand, the incident occurred and the consumer was aware from prior events that the product posed certain dangers, then the duty of business changes because of the foreseeability factor. For example, once Staples became aware of the dangers the office chair posed from the many incidents that occurred, the Staples Company, from the eyes of consumer protection agencies, was considered put on notice. This means that the Staples Corporation became aware of the situation and displayed appropriate behavior by taking measures to resolve it. It is then the responsibility of the corporation to implement further measures to ensure higher levels of safety to prevent future occurrences, as well as seek restitution from the Chinese manufacturers that sold the defective product outlined in the terms of their contractual obligations. These are effective strategies to maintain good public relations and trust. In addition, it demonstrates that the Staples Corporation is comprised of an ethical business climate. Had the product not been recalled and further injuries sustained, Staples’s reputation could have suffered. It is clear from their swift action that Staples wanted to protect stakeholders and avoid further injuries that could lead to actions of strict liability torts. Although recalls can prevent further harm to consumers, retailers, wholesalers and manufacturers are typically held liable for negligence if a product causes injuries. Seaquist (2011) submits that even when negligence has been established, however, a defendant can still avoid tort liability by engaging in one of three defense strategies: (a) contributory negligence, in which the evidence supports that the plaintiff’s actions contributed to their injuries; (b) comparative negligence, where the plaintiff’s negligence is subtracted from the final award; and (c) assumption of risk, where the defendant provides evidence to support the claim that the plaintiff suffered injuries from an activity they were made cognizant of the risk and hazardous conditions it posed (Seaquist, 2012). These defense strategies can serve to limit or completely avoid a defendant’s tort liability and are critical components in the litigation process. In conclusion, the findings of this research determined companies are obligated to abide by duty of care concepts and that in strict liability negligent torts, retailers, wholesalers, and manufacturers are held liable for products that cause consumers harm. Bevans, N. (2011). Consumer law & protection: A practical approach. Durham, NC: Carolina Academic Press. Marsh, G. (1999). Consumer protection law in a nutshell. St. Paul, MN: West Publishing Co.